You've reached a point in life where you want to feel differently; think differently. 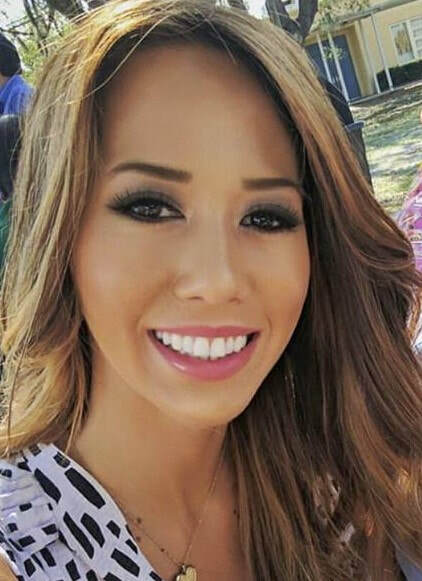 When faced with struggles in life, you do not have to battle these issues alone - there is a caring, licensed professional that is available to help guide you. I understand that seeking therapy can sometimes be a scary, daunting task. However, it can also be what transforms your life and where real healing begins. While meeting with me, expect a warm and accepting environment that is free from judgment. My priority is to LISTEN; this is your outlet for you to feel supported and to speak freely and honestly to achieve that higher sense of clarity that you seek. In session, you will be provided with the tools to overcome and clear your past and current traumas/issues. I specialize in the internationally recognized neuro-psych approach of EMDR therapy as well as integrating the option for behavioral health & wellness coaching to utilize mind and body mindfulness practices. Open yourself up to the possibility of a future that is different, hopeful, and fulfilling. With extensive experience and a passion for working with children, teens, adults, and the elderly, I am skilled to develop an individualized treatment plan best suited for your therapeutic needs. APPROACH COUNSELING DIFFERENTLY --- I look forward to speaking with you! 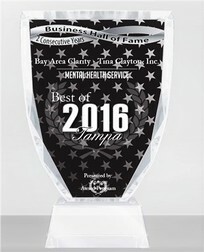 Bay Area Clarity - Tina Clayton, Inc. has been selected for the 2018 Tampa Bay Small Business Excellence Award in the Psychotherapy & Mental Health classification by the Tampa Bay Small Business Excellence Award Program. Various sources of information were gathered and analyzed to choose the winners in each category. The 2018 Tampa Bay Small Business Excellence Award Program focuses on quality, not quantity. Winners are determined based on the information gathered both internally by the Tampa Bay Small Business Excellence Award Program and data provided by third parties. serve the Tampa Bay area. Each year, our selection committee identifies businesses that we believe have achieved outstanding success in their local community and business classification. and our community. These exceptional companies help make the Tampa Bay area a vibrant and vital place to live. The Tampa Bay Small Business Excellence Awards was established to reward the best of small businesses in Tampa Bay. Our organization works exclusively with local business owners, trade groups, professional associations and other business advertising and marketing groups. Our mission is to award the small business community’s contributions to the U.S. economy. 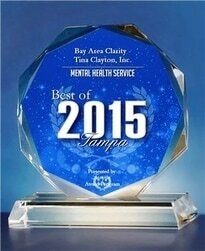 TAMPA March 4, 2017 -- Bay Area Clarity - Tina Clayton, Inc. has been selected for the 2017 Best of Tampa Award in the Mental Health Service category by the Tampa Award Program.